Marketplaces have existed since people began exchanging food and tools at the dawn of the agricultural revolution. Since then, physical and financial and digital marketplaces have become so commonplace as to be taken entirely for granted. Microeconomics (the study of individual actors within these marketplaces) evolved as an area of study centered around scarcity. You don’t need to understand everything about microeconomics to understand the relevant dynamics. Rather, a baseline in Octalysis will provide you with a sound framework for understanding the pushes and pulls of motivation and entering the hearts and minds of buyers and sellers. But you have to explicitly design for that motivation to happen. As we know from Octalysis, if no 8 Core Drives design is present, no behavior happens. What is actually happening when a buyer wants to buy? And how do sellers provide that? And why do people act in seemingly irrational or hypocritical ways? In this post we’ll first examine what is happening for buyers, then sellers, and then examine a few examples of digital marketplaces. When a consumer demands something, her desired action is to seek to resolve that demand. Sometimes these pulls are extrinsic. She wants a new pair of shoes to better enjoy her walks in the park (Core Drive 2: Development and Accomplishment). Some are intrinsic. Her mother wants a top end caterer for her upcoming wedding, and she is trying to find the right match (Core Drive 5: Social Influence and Relatedness). Because most products and services and experiences are packaged and served online, any company participating in an online marketplace must account for the suite of motivations affecting how people experience demand and their expectations about fulfillment. Millennials (and let’s face it, most people) expect instant gratification in achieving desired actions when in an online setting. As a seller, knowing these differences–between extrinsic and intrinsic motivation–matter greatly. If someone wants a quick win (Core Drive 2: Development & Accomplishment), forcing them to wait to purchase could be a mistake. 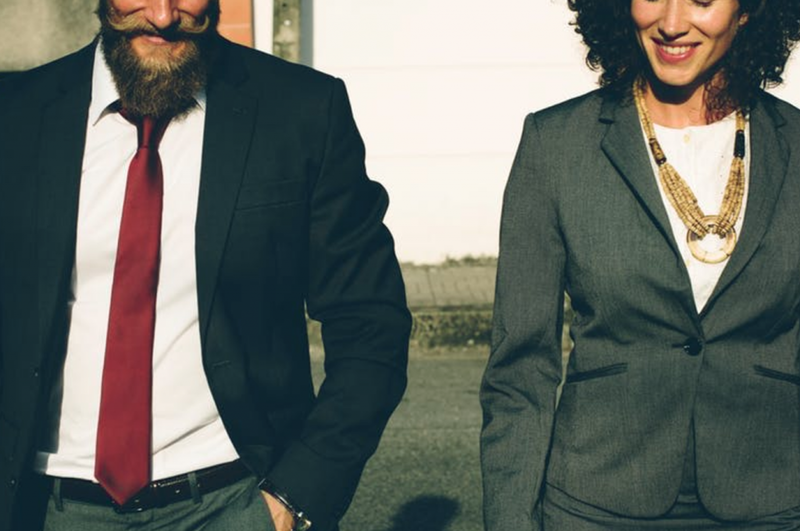 On the other hand, if a buyer is long-term intrinsically motivated, a seller could draw out the buying cycle and create a loyal long-term customer. This requires knowing what user types you are dealing with and a careful balanced design of Black Hat and White Hat triggers and rewards aligned with those behaviors. Attracting buyers who are already in the marketplace is important for a seller’s long-term success. From eBay to Amazon’s marketplace, a seller doesn’t survive unless it attracts buyers. Attracting buyers in competitive marketplaces requires a competition on price or an other kind of differentiation. In a marketplace that is supply-heavy, winning on price is tricky, so many companies and brands have involved some level of brand differentiation and attention to detail in one other key area: customer service. If the experience of buying the product or service is enjoyable, the product need not be all that different from a competitor’s. If we make buyers feel accomplished and smart for making a difficult meaningful choice among thousands of products, we have already begun to create an activity loop that will return that customer again and again for those same rewards. I did some research on eBay, and shortly after sold my two tickets through the platform (I hope the event organizer does not read my book). That one transaction was surprisingly thrilling and fun for me. When I received my first bid from an anonymous stranger on the Internet, I almost jumped for joy (cultural joke: but I did not get stuck), and I became obsessively glued to the screen when another bidder joined in on the war. That’s very impressive for Yu-kai’s first experience as a seller, and was instrumental in Yu-kai spending hundreds of hours on eBay building up to be a power seller on the platform. 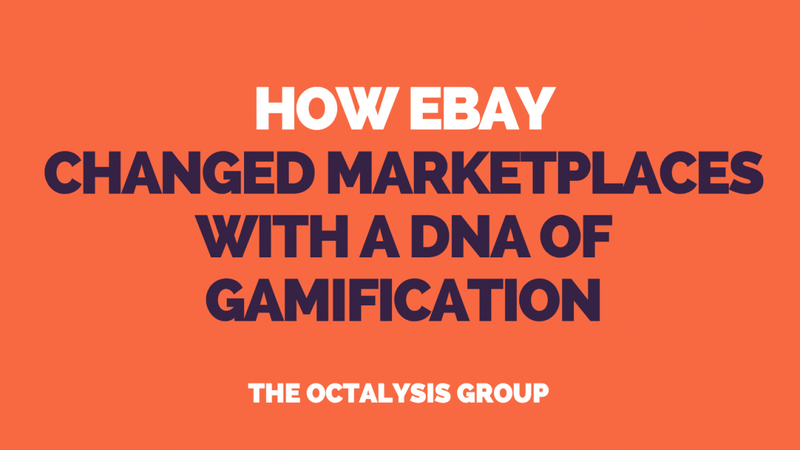 There were other online marketplaces where Yu-kai could have bought and sold goods, but he chose eBay because eBay built gamification and human-focused design into its core DNA from the word Go. Like Facebook’s slow erosion into MySpace’s social monopoly, Amazon entered via books and became the powerhouse in online marketplaces in the west, with Alibaba and Flipkart dominating the east. Amazon created a marketplace that motivated both buyers and sellers. Because Amazon wasn’t concerned with profits early on, features like Free Shipping were huge attention getters and attracted legions of customers. Amazon could then attract sellers by showcasing its impressive customer metrics. They quickly expanded into verticals beyond books and shoes. Isn’t it just about incentives? It may seem on the surface that all that is needed are the right incentives. eBay created an infrastructure which easily allowed buyers and sellers to transact and left great sellers to the top of the pile with an internal rating system. Amazon’s infrastructure was so good and so convenient that it saved people both time and money, and therefore was a no-brainer for both sides of the marketplace. But creating a marketplace is not just about creating the right incentives. It is about honing in on the desired actions of every actor in the marketplace and ensuring the appropriate meaningful choices are triggered at the right moments to inspire action from those actors. The design of these motivational marketplaces, if done really well, will even account for our hypocrite brain. Product gamification really can produce loyalty. The Octalysis Group has helped 100s of companies think carefully about how to craft their incentives and core activity loops, each of which is participating in the global marketplace in one way or another. Some are startups seeking to attract waves of new customers. Others are established incumbent conglomerates or government actors. We have truly enjoyed helping these entities think about how human-focused design and gamification might influence their approach and help them win in their ecosystem. Are you ready to level up your marketplace position?